If issues don't rear their ugly head with the invites, quite often they'll come about with the dreaded seating plan, as couples navigate their way around ex partners, children, siblings who are a bad influence on one another and those who just point blank don't get along. 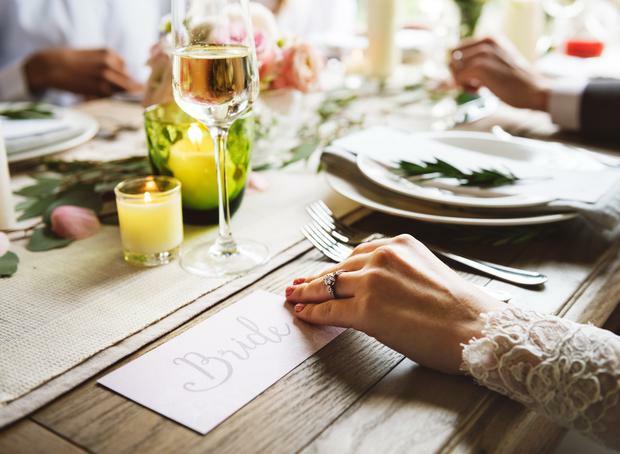 One woman who has found herself at the centre of one such wedding table debacle has explained how her 'inconsiderate' son's plan to seat her next to her ex-husband at his wedding has left her reeling. To make matters worse, her husband of 20 years has been 'relegated' to a table for extended family. "[My son] is getting married in three months time and was discussing the seating plan with his daughter asking where she would like to sit etc. It came out that I am apparently sitting on the top table with ex-husband next to me, as parents of the groom," the woman explained to forum users on Mumsnet. "[My ex-husband] and I have been divorced for 23 years and I have been remarried to a wonderful man for 20 years," she continued, "I haven’t spoken to [my ex] in probably 15 years. My [husband] raised my three children as his own and we also have a son together. " The woman went on to explain that her and her ex-husband went through an acrimonious divorce, where she was forced to involve the police after he made threats towards her, and explained how he had little to do with the children growing up. However, the woman said, her son and his father have built up a somewhat 'shaky' relationship, and that her son and his bride-to-be are keen to seat their top table in the 'traditional' set up. "I have said I would be fine not being on the top table, or my ex-husband and his partner being on it and my husband and me perhaps at the other end but he will not change the plans. My daughter has now fallen out with son over this and told him just how wrong and incredibly inconsiderate it is to treat my husband this way. " The woman explained that she hasn't yet told her husband, who has been 'relegated' to another table for extended family, and said that she believes he will be 'hurt and shocked' at the decision. "I know it’s their wedding and they can do what they like, seat people wherever they want," she concludes. "I know how hard it is to seat everyone and please everyone, but I do not want to be seated apart from husband to sit next to a man that made my life a living hell for years." Forum users were quick to respond to the woman's quandary, suggesting that if her son wanted to be truly traditional, he would sit the mother of the bride next to the father of the groom and vis-versa. Another suggested: "I also think it's acceptable to have step parents on top table as well. Camilla was at Harry and Meghan's - if it's good enough for the royals it good enough for anyone." Karen Birney Gardaí in Cork are hoping to make someone's Christmas by reuniting them with their lost wedding ring. Karen Birney It's well known that the festive season is the most popular time of the year for proposals.